Kaisa Maria went by the name of Mary. According to the 1920 census she immigrated in 1892 and became naturalized in 1894. 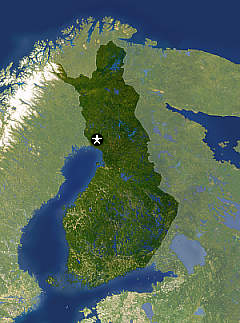 Kaisa Maria is from Kemi, Finland. This is in the northwestern part of the country. She was raised by an aunt. 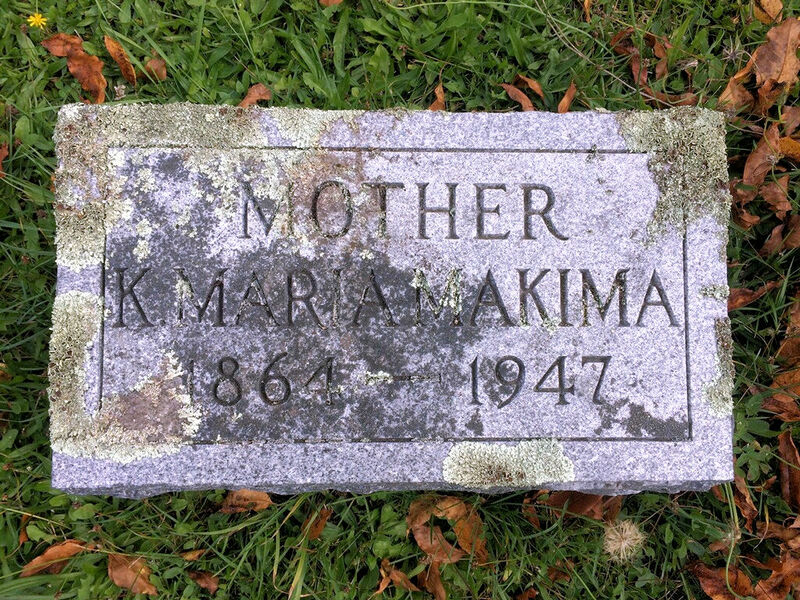 The name on her grave in Greenland Cemetery is K. Maria Makima. 1. Residence: Greenland Township, Ontonagon County, Michigan, 1940. This was her residence at the time of the 1940 US Census. She is still living with her husband William on their active farm. At this time they are both in their 70s. 2. Cemetery: Kaisa Maria Makima Headstone: Greenland (Maple Grove) Cemetery, Greenland Township, Ontonagon County, Michigan.